Each and every woman deserves to feel beautiful on their wedding day and should not be limited by inadequate stock and sizing. Rather than allowing women to risk it online, the powers that be a tWhite Lily Couture decided it was time to really shake things up for bridal in Queensland. While White Lily have always prided themselves on their diverse range of sizes and styles, their brand new Curve collection offers drop-dead gorgeous wedding gowns never before seen in Queensland available to order up to a size 30. 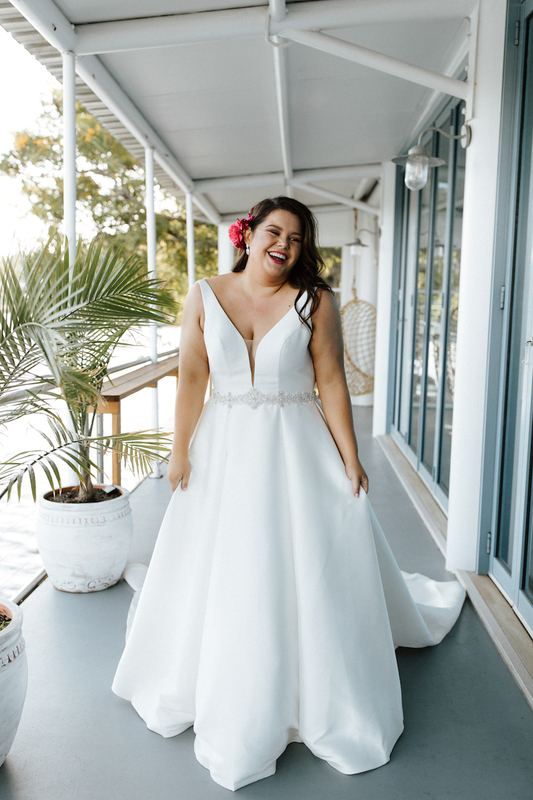 After carefully listening to their brides,White Lily Couture went out to source the very best in bridal for the curvy babes of Brisbane! With everything from flattering A-lines, to bombshell mermaids – the girls at White Lily have you covered. In addition to extending their sample sizing range, the super cute boutique now plays host to further fabric variety as well. The collection includes modern minimalist crepes and mikados as well as whimsical tastes of chiffon and tulle. The shining stars of the collection are gowns by Israeli label, Studio Levana. This stunning label designed specifically for curvy brides, offers everything you have ever dreamed your dress to be with a superior sense of comfort and security. Inside each of their gowns is their patented corset – the design of which allows brides to feel fabulous and supported with no need for a bra no matter the cup size. Win! Relax in the safe hands of theWhite Lily Couture stylists as they help you find your dream dress amongst their gorgeous new collection!